This excerpt is from my talk with Sean Michael Morris and Amy Slay at Open Education 2016 about Critical Instructional Design. Read Sean’s post Critical Instructional Design and Acts of Resistance for his take, which mine follows. As you listen to/read Sean’s description of Critical Instructional Design, you might be thinking, “YES, sounds great! I want this!” The reality is that, at most of our institutions, instructional design is an undervalued and misunderstood field. Groups that include instructional designers struggle to make their work known to faculty. In Tuesday’s#DLNchat on Twitter, dozens of tweets showed the frustrations of instructional designers who are trying to play a role at their institutions—to be seen as resources, partners, even guides in the course design process. We think of instructional design as needed, say as part of open education or digital learning initiatives at our institutions, and we expend our energies getting faculty to work with us—making a case for our instructional design teams rather than building the infrastructure for critical instructional design, making space for critical instructional design. That’s the leadership challenge I have faced since I began hiring IDs in 2008. How do you make space for critical instructional design and how do you make critical instructional design something that is valued at your institution? How do you define the roles of instructional designers at your institutions and help others to understand their roles? What, exactly, are the roles of an instructional designer on campus…? And if they are the last things on this slide (skeptic, troublemaker, questioner, deconstructor), are we willing to accept the risks of that kind of role at our institutions? This is what keeps me up at night. I worry that too many people I admire because they broke the mold, and too many centers for teaching that transformed themselves to be more critical, those people are either being squeezed out, or their groups are folding or centering because our campuses are hostile to critical approaches. There is a real incentive to doing things that don’t offend anyone, that bring faculty into the digital, the open, but that don’t really question the ways those concepts (and how they get implemented) impact our campuses, our students, our teaching instincts. I think it’s natural for us to want to build something palatable to faculty and administrators, and then to become entrenched. What we’re trying to build at Middlebury is an organization that makes space for critical instructional design. This is design that is grounded in historical and current contexts, that has questioning as a primary practice, and that doesn’t take instructional design, nor digital learning, nor open education as inherently good. That doesn’t mean that IDs are not partners with faculty, it doesn’t mean they don’t provide some services, but it does mean that they won’t sit quietly as we watch digital and open education transform (positive and negative connotations) our campuses. A few months ago, I wrote a leadership manifesto for myself. I was inspired by Kevin Gannon and others who have written teaching manifestos, by Jen Ross and her colleagues at the University of Edinburgh who wrote the Manifesto for Online Teaching. I wondered if I could express the values of a leader who wants/invites critical instructional design on her campus. The manifesto (currently) has eight parts. I’ll leave three parts with you: Slow down, question, and love. Slow down, because we’re always being told to hurry up, that education is too slow. It’s in the hurry that we become less critical. Question…question everything. Make space for questioning. And love. Any chance I get, I’m going to talk about love. It’s a necessary part of critical practice, to come from a place of love for our students, our institutions, for education. I’ll also leave you with this image. The Pont des Arts in Paris. 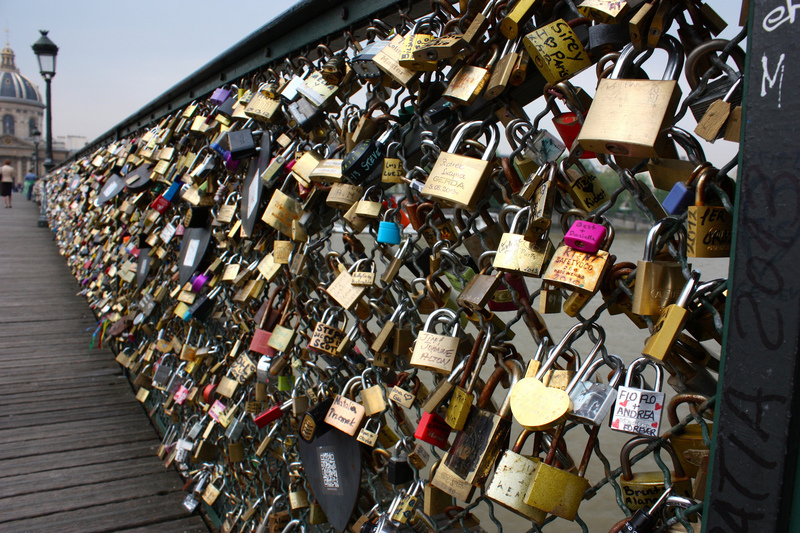 Lovers from around the world place locks on the bridge with their names on it to show their commitment to each other. It’s a romantic gesture…full of hope and dreams…but it’s also destroying the bridge. For me, the why of critical instructional design is to have the discussions about the unintended consequences of our work. So many of us are idealists, romantics, explorers, dreamers…and we need that…but let’s all push ourselves to look critically at the locks on our bridges.